A view of the Stabilitas dashboard. The data on the map is generated via machine learning and represents breaking news events that impact security. 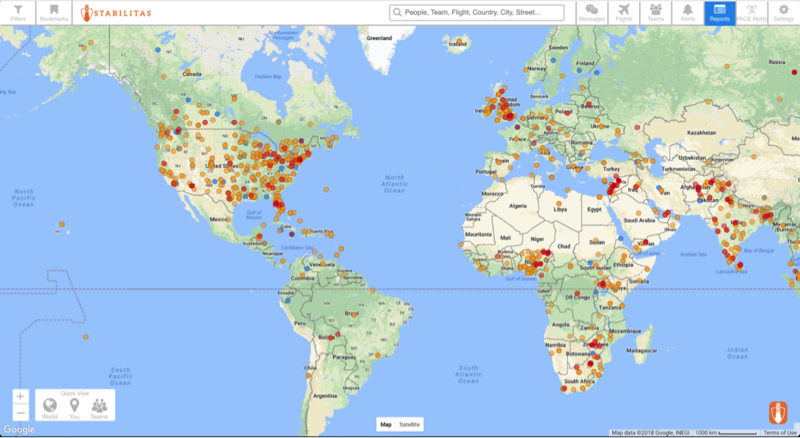 Stabilitas, an A.I.-powered technology startup in Seattle, WA, uses machine learning to gather threat intelligence data from around the world and analyze it in real time to keep people safe. One of Stabilitas’s most valuable innovations thus far has been creating a Data Operations and Cleaning Center (DOCC), powered by a team of analysts affectionately called Data Referees. 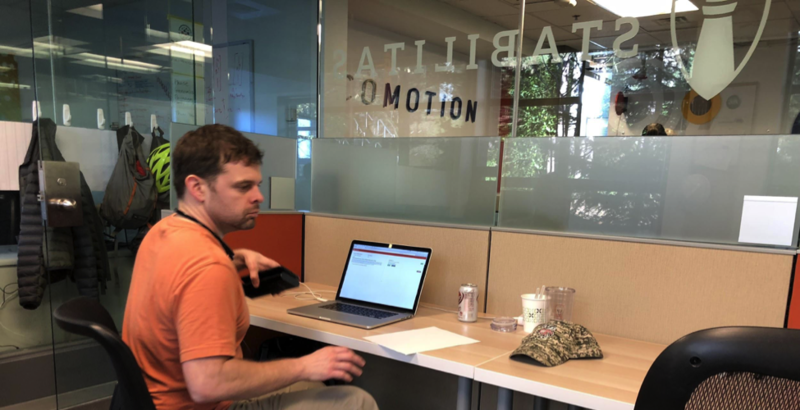 Many of these Data Referees were recruited from the Bunker Labs network, a not-for-profit organization that inspires, educates and connects veterans and military spouses with their next mission. Machine learning cannot happen without some sort of training data, and quality training data is hard to come by. Dr. Mikhail Zaydman, Stabilitas’s Lead Data Scientist, set off to fix the problem. First, he forced strict definitions of terms and categorization. It was a tough, iterative process to get consensus across the company. Second, he worked with David Ulrich, Stabilitas’s Data Engineer, to build a cleaning tool in the form of an informational dashboard. 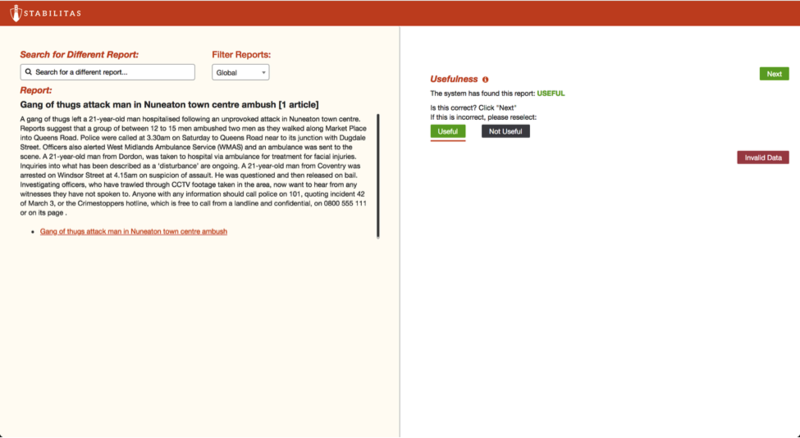 Harking back on Stabilitas’s founding military heritage, it was not lost on the Data Team that they would need a new acronym for this dashboard, which they decided to call the Human Intervention Tool (“HIT”). Third they got to working cleaning and grading the data. Military veteran Dylan Cooper shifting gears after working a shift with Stabilitas’s DOCC Team at the Stabilitas office in Seattle. The Human Intervention Tool (HIT) - below - is a way for the data referees to analyze and assemble data. The Human Intervention Tool (HIT) is a way for the data referees to analyze and assemble data. Initially, the machine models had little training data to work with and were quite noisy. The DOCC solved that problem by providing more training data for the machine models. After a couple months of trial and error as well as creating an internal training program for Data Referees to come up to speed, the Data Referees and DOCC started producing real results. Stabilitas is pleased to report that they are looking to accelerate their machine learning model to market. ‍Greg Adams, Co-Founder and CEO at Stabilitas. 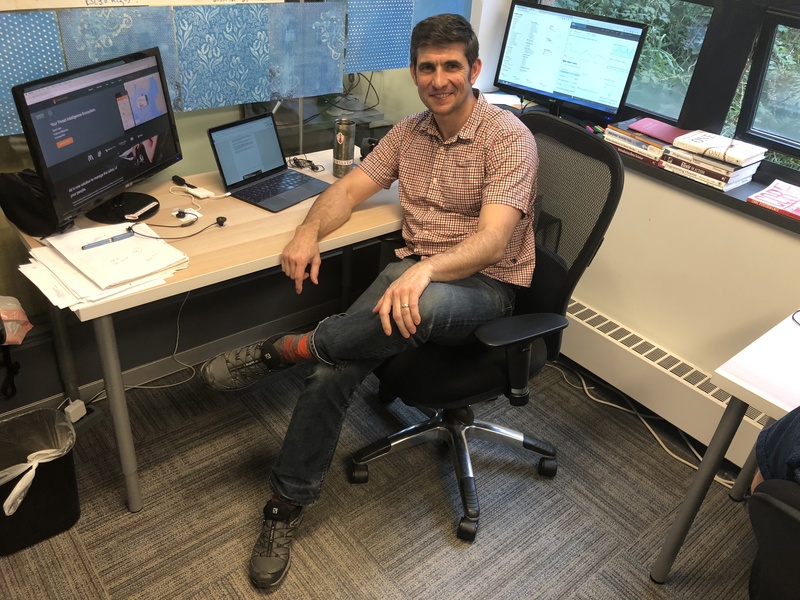 “We looked at this as an experiment as part of our National Science Foundation grant effort, and I have to say: it’s blown away my expectations,” said Greg. As part of DOCC most Data Referees interface with the Stabilitas team via Slack, but they are always welcome to visit the Seattle office and periodically join group feedback calls. The company has even extended additional contract work to Data Referees that are interested in data science careers. Dylan is working on HIT on the right, as David a data engineer, works on managing the data pipeline. “Machine Learning is the future,” said Dylan.